Almost a year, since late last summer, since I changed headers. 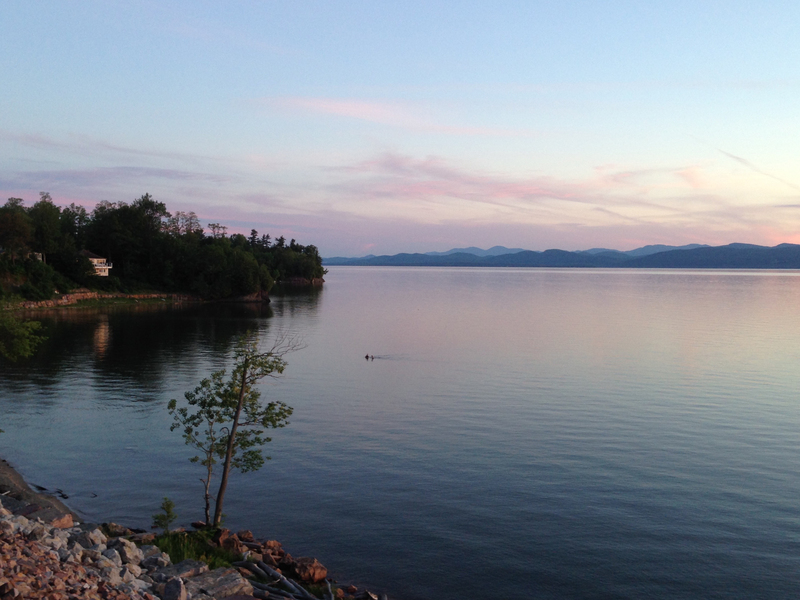 Immediately below is last year’s summer view of Lake Champlain here in Vermont. And beneath it, my new current banner image and its original. We’re staying just a touch further north along the bike path here in Burlington, and we’ve been able to reach some observation decks and other places to view this marvel of land and sky and water. My follow up thriller novel, to One Night in the Hill Country, entitled Queen, is set in Vermont and uses the bike path in the last major portion of the book. I’ve begun the final write-read-through, and hope to have it out by end of summer / early fall. Looking forward to your next book, Adan. Good luck with your “final read-write.” Mine turned into three “final” read-writes, so I hope you make it to the finish line a bit more easily than I did. Just remember what Orson Welles said: I will release no self-published book before its time.